Dr. Marcia Blazer Places Crowns in Her Scottsdale, AZ Dental Office! Replacing a single tooth is a very common practice. In fact, according to the American College of Prosthodontists, a single crown placement is the most common restorative procedure, and approximately 2.3 million implant-supported crowns are made every single year. Marcia Blazer, DDS offers crowns as a restorative solution for her Scottsdale patients and members of the wider Scottsdale community. Dr. Blazer is focused on creating beautiful smiles through her work and she strives to create a friendly and welcoming environment in which her patients can relax and receive only the best in dental care. Dr. Blazer and her professional staff prepare diligently for each and every procedure. Crown placement is usually a two-part process. During the first appointment the patient is numbed so that any decay can be removed and the tooth can be shaped. If a filling is required as a base, it will be placed during the time the patient is numb. Dr. Blazer offers laughing gas and patients can pass the time by watching a movie or use noise cancelling headphones. Dr. Blazer will then take an impression of the tooth and send the mold to a dental laboratory. Afterward, a temporary crown is used to enable the patient to function until their new crown is placed. The entire appointment usually takes approximately 1½ hours. The second appointment involves fitting and customizing the tooth – a process that can take very little time. Patients can return to work immediately and, apart from refraining from eating sticky foods, they can resume normal daily activity right away. Contact Dr. Marcia Blazer in Scottsdale Today! Dealing with tooth replacement doesn’t have to impede on your time or your lifestyle. 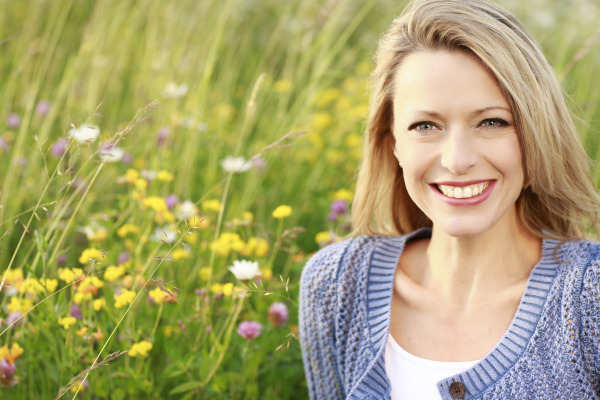 We are dedicated to providing our Scottsdale patients with healthy, beautiful smiles. Dr. Blazer works diligently with each patient to ensure the most appropriate treatment plan is provided to her patients, all within a comfortable environment. Contact us today to make an appointment with Dr. Blazer. "I just had the first of two appointments for a cavity filling and a new crown and it was almost painless. The experience at Dr. Blazer is always good. She explains the entire procedure as we go along and I watched a movie to make the time go by quicker. Dr. Blazer is a true professional with a very competent and friendly staff. I highly recommend her services."